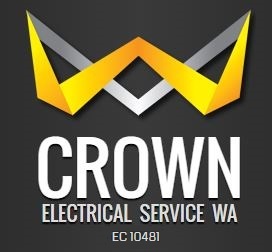 Crown Electrical Service is a highly skilled and experienced electrical contractor, specialising in a large range of electrical installation, maintenance and break down work for residential and commercial customers. We are based in Bicton and service the Melville, Fremantle and Cockburn areas. Rick at Crown loves the friendly atmosphere extended from the Freo Tri Club. This was a big factor in becoming a sponsor of the club and to help it prosper. As an FTC member, he would be happy to extend a discount for any of his electrical services listed on his website. At Cashmanagement, we love tax time!!! Please email info@cashmanagement.com.au to receive your tax return checklist. Just quote the promotion code “20%OFFTriClub” on your tax return checklist to receive your discounted individual tax work. The promotion applies to individual tax returns (including rental property schedules) for the 2016 tax return only. All other works (including but not limited to trust tax returns, company tax returns, capital gains schedules, small business schedules, BAS lodgements, set up work) are performed at standard hourly rates. This offer can not be used for in office ‘sit down’ tax returns (only email, post and drop-offs). BOX Property Management is dedicated to providing the highest quality of service to Perth landlords, investment property owners and tenants. It is for this reason our team our 100% focused on property management, managing properties throughout the Perth metro region. We are a boutique Physio and Pilates practice offering the clients of East Fremantle and surrounding suburbs premium health care in a modern, professional and friendly environment. Are you interested in sponsoring Fremantle Triathlon Club?